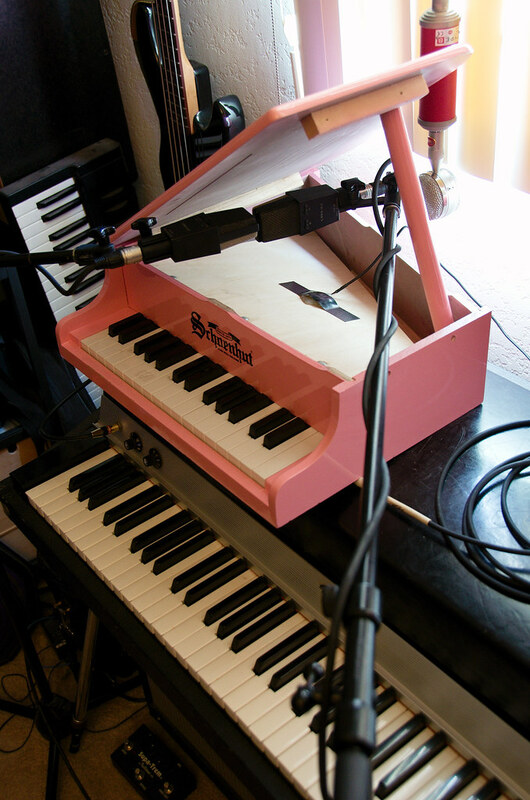 I recently scored this wonderful, but horribly pink toy piano. I found this to be a perfect opportunity to experiment with a few mic techniques. That, and I can never turn down the opportunity for over-the-top ridiculousness. 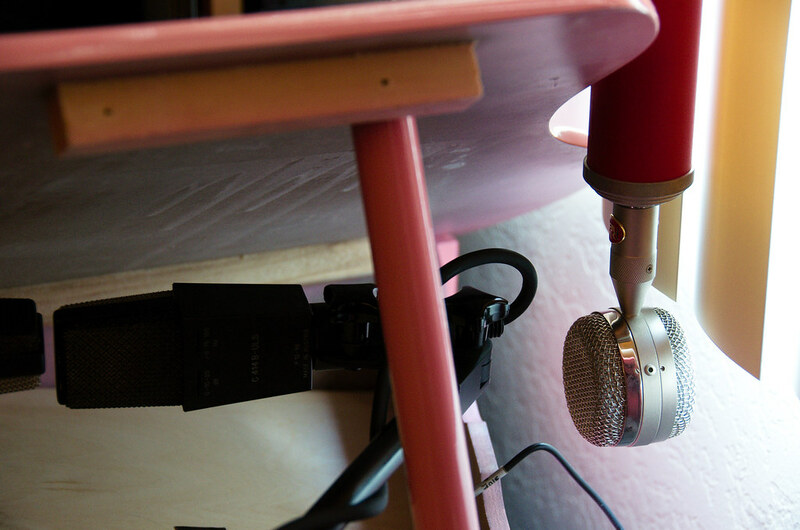 I decided to try out a pair of 414s, a large diaphragm Red, & a self-made piezo contact mic. I setup the 414s in a 90° stereo configuration over the hammers, but quickly found some severe phase issues. I then tried a simple left & right spaced configuration that had similar results. I opted to use a M/S configuration for a more “phase friendly placement,” and the ability to control the width as needed. For the Red I placed it behind the open lid to capture the overall tone of the piano. 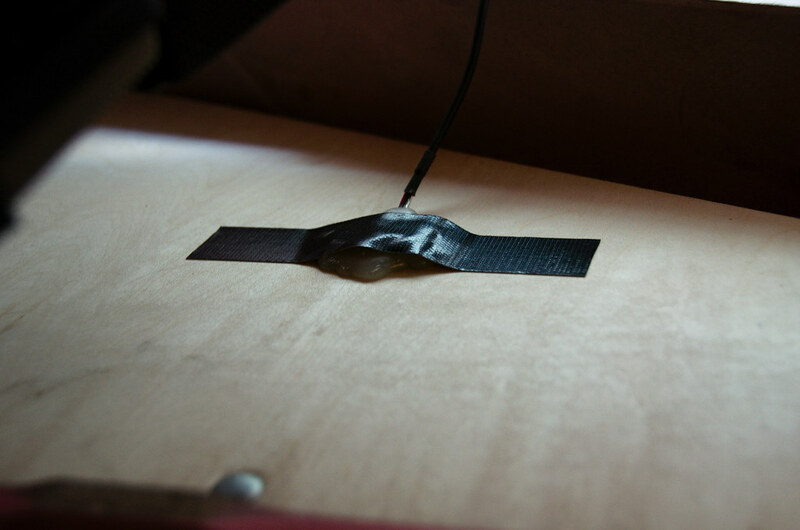 For fun, I taped a rat-shack sourced piezo element directly to the tone-board. The M/S pair sounds great. Nice stereo image, accurately captures the direct sound. Even picks up the key press noise position. The Red sounds nice as well, more ambient room tone. I really enjoyed the piezo, & love the LoFi character. For the current track I’m using this with, I’m thinking I will use a mix of the bunch. I’ll most likely make a very wide image from the M/S pair, then use the Red/Piezo to pull in the center image. Eric Beam is a musician, composer, and professional audio engineer based in Santa Monica, CA. Find him at rhythminmind.net or on Twitter: @rhythminmind. When Eric posted these photos to Twitter, I couldn’t resist asking him to write about the session. 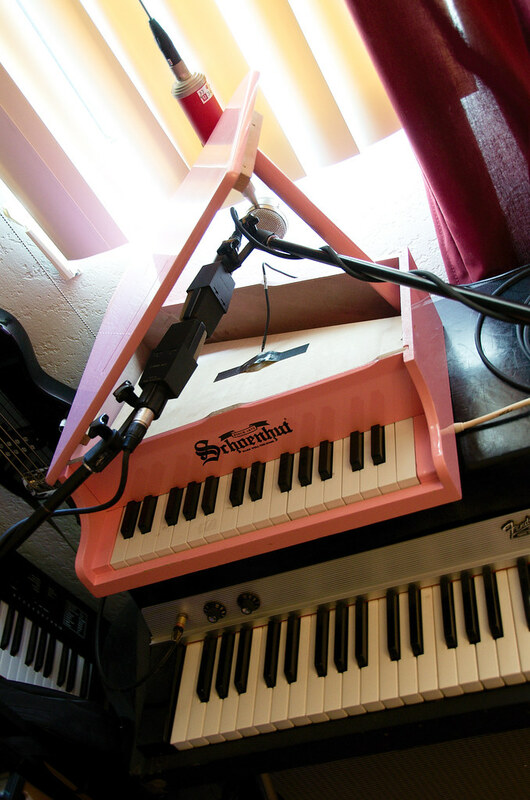 There’s just something awesome about miking a toy piano with $5000 worth of gear. Well, $5003.95 if you include the piezo. 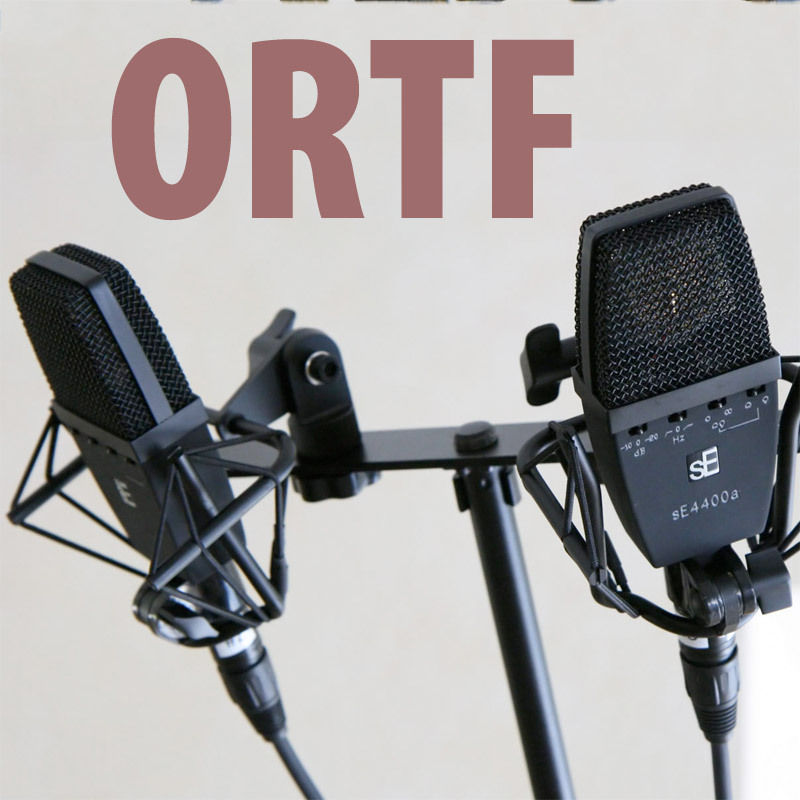 What’s great about it is not just that all three tracks sound different, but that each mic captures a wholly different vibe. Each is usable in its way, but each brings something different to the production. Having all these choices will make the mix that much more interesting. We’ll update this article when the new song is finished. Wow! What a fun and interesting experiment! Great job on this one! 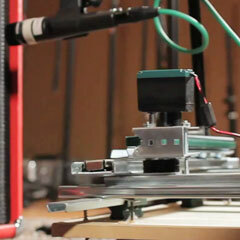 Really nice, but: how do you made the piezo hum-free? I found that if I cover it with my hand, but without touching it, the hum almost disappears. Ah the joys of using toys in the studio! I’ve tried all sorts with expensive equipment down the years. It can be a lot of fun. There’s something so rewarding about getting a sample from something so basic that you then build around. Great post and idea Eric. Puts me in mind of “Pancake Palace” or some pizza place.